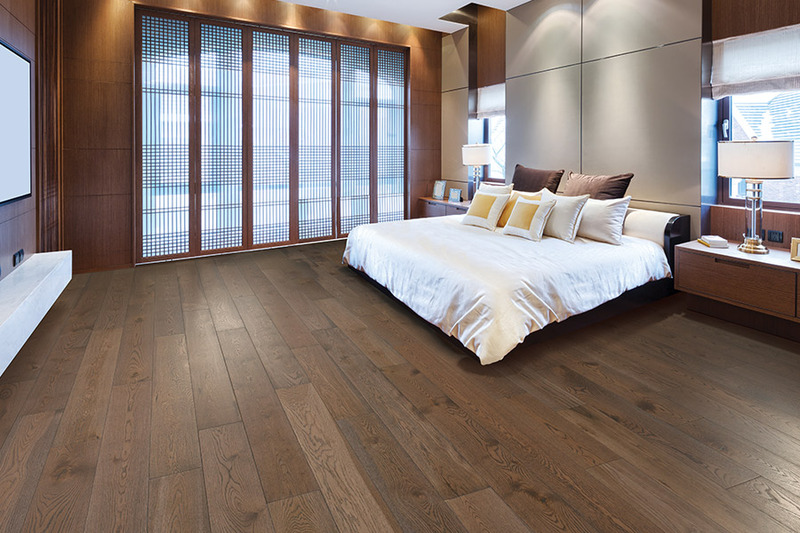 FLOORware carries the most complete selection of domestic and exotic hardwood materials in the full range of styles and types. 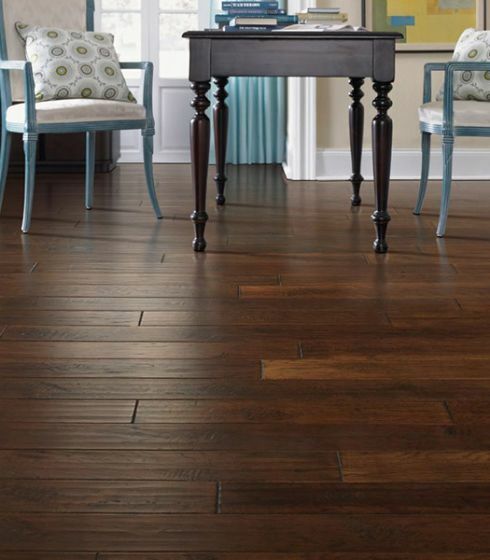 These include wide planks, handscraped hardwoods with dark finishes and weathered appearance, hickory and others. They are available in a full spectrum of colors and finished modern ‘looks’. Domestic hardwood is any type of hardwood that can be harvested in North America; exotic hardwood is any type of hardwood that's harvested outside of North America. 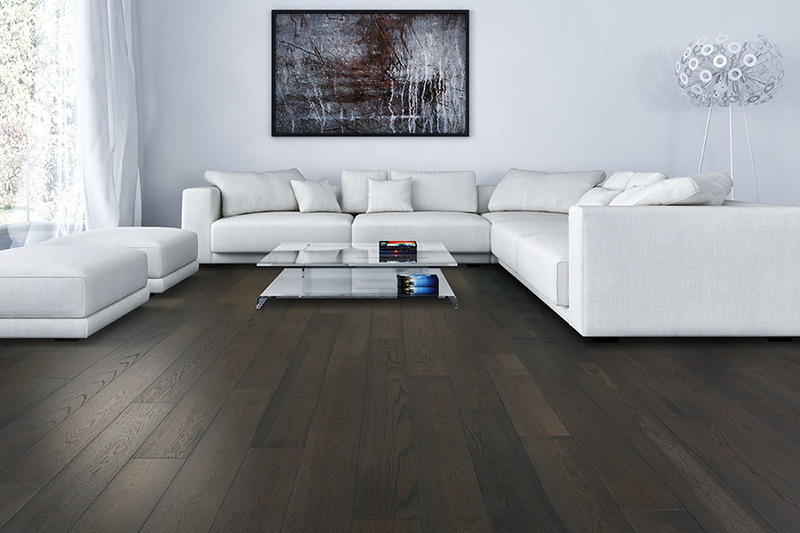 Both hardwood types are often found and imported from the woodlands of Southern America. We supply and professionally install hardwood floors for homeowners in Sterling, Ashburn, Fairfax, Great Falls, and other nearby Virginia communities at the area’s lowest prices. We carry hardwood materials from leading manufacturers including Mohawk, Mirage, DuChateau, IndusParquet, Shaw, Bruce, Armstrong, and others. Every FLOORware installer on our installation team is state licensed, insured, and experienced through extensive on-site training. 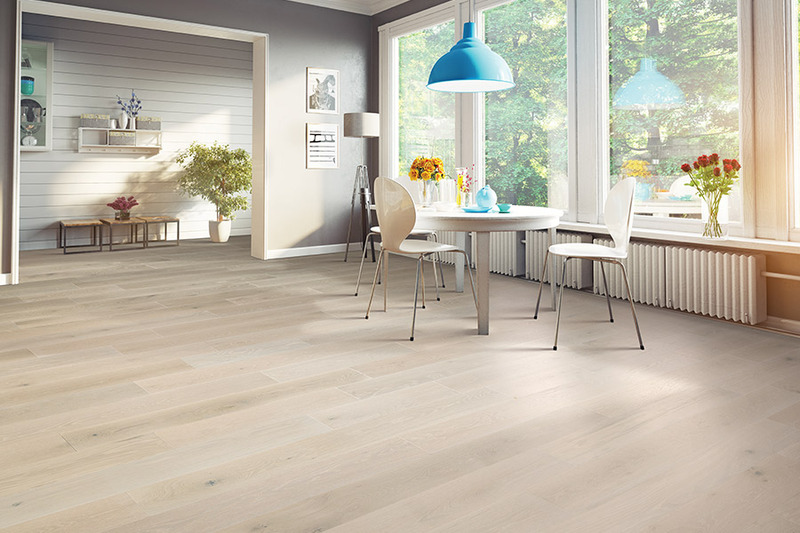 With such a diverse number of flooring choices to select from, you will surely be able to find the best materials for your remodeling project within your available budget. 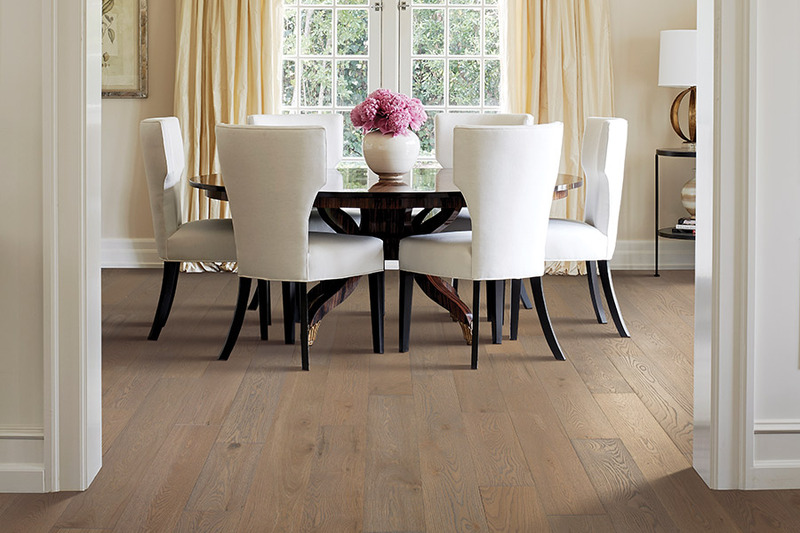 As a rule, two classes of hardwood are available: solid hardwood and engineered hardwood. In these two kinds, there are two types: domestic and exotic. Solid hardwood planks are fabricated with every plank as one total piece. These are the classic kind of hardwood floor. Solid lumber can be stained in a variety of colors and completed with different means. Homeowners have the option of sanding and refinishing these hardwood floors often when they become worn out or lose their luster with age. This makes today’s hardwood flooring a wise investment for almost any home, simply because they will last for years and retain their good appearance. Note that hardwood materials must remain in the room where they are going to be installed for several days to become acclimatized to environmental moisture levels. Our professional installers leave a tiny gap between each plank to accommodate normal expansion and contraction. Solid hardwood should only be placed above or at grade level. Engineered hardwood planks are fabricated with a number of levels that are glued together and then squeezed under high temperature and pressure. This process creates a durable and long-lasting flooring material. 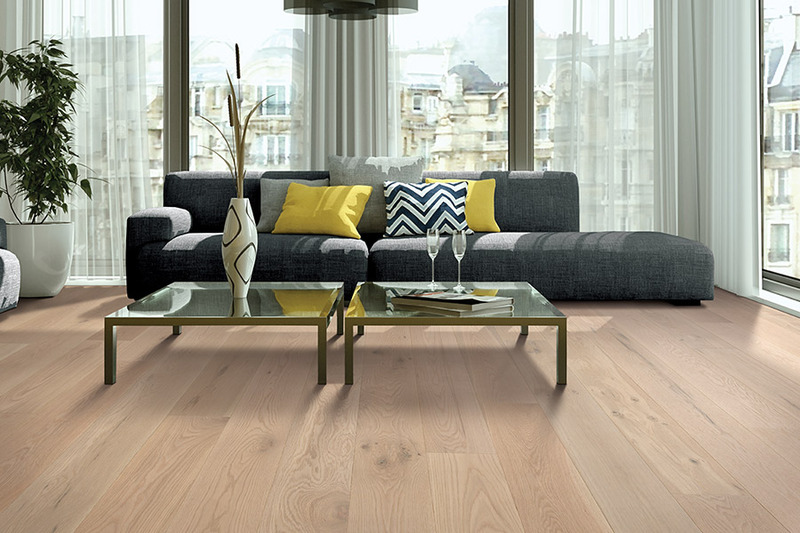 Like solid lumber, engineered hardwood can be stained and completed to suit your personal preferences. It cannot be sanded and refinished as often as solid hardwood can. Nevertheless, it is still an outstanding value. Engineered hardwood requires considerably less time to acclimatize to moisture levels, so it can be installed much more quickly. It's also a far better choice for homes in areas that have high humidity, and for use in normally damp locations such as basements. Engineered hardwood may be placed above, below, or at grade level. 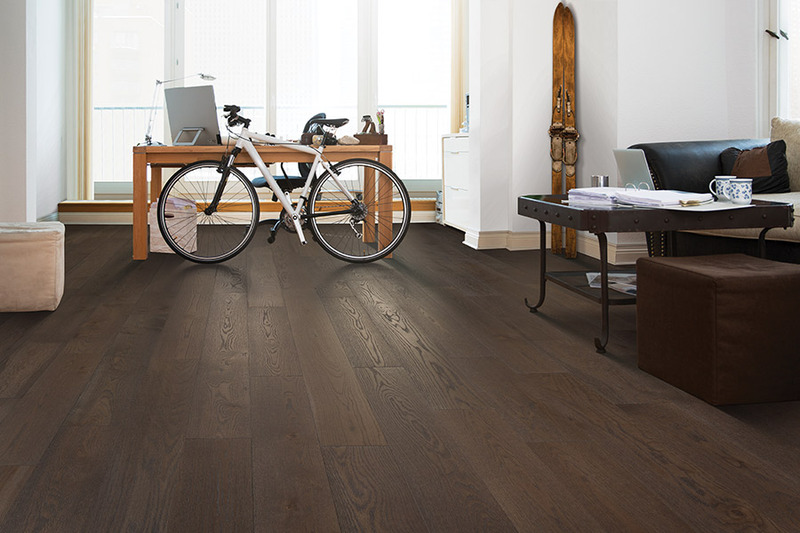 If you would like to know more about our extensive selection of hardwood flooring products, phone us, e-mail us, or stop by our showroom in Sterling, VA to discuss your interest in hardwood floors with one of our experienced flooring consultants.